With winter on the horizon, people are beginning to think about how they should dress for the colder weather. Doing this and staying fashionable at the same time can be tricky, as winter fashion marks a big departure from the clothes you may be used to wearing in the summer months. As a season full of celebration, it is no surprise that people want to look their best on every day of the week. 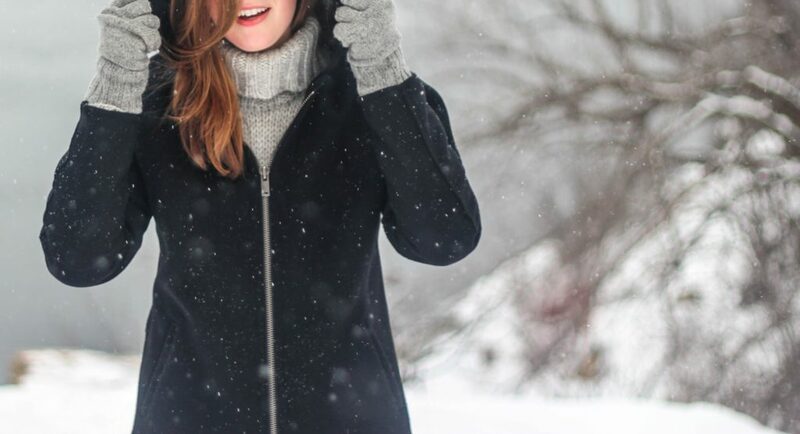 To avoid the panic that comes with buying a new wardrobe for the cold, you should consider following some helpful tips on how to dress well for winter. When you spend lots of time outside, your coat will be the first and sometimes only part of your outfit that people will see. This means it must be perfectly tailored to both your style and body shape so that it flatters you in all the right places. In fact, head online for a range of plus size coats. You should also think about whether you are hoping to bring some color to your outfit and brighten up the darker days, or whether you are sticking to a timeless classic, like steel grey. There is nothing better than feeling cozy in your clothes when it’s cold outside. The best way to keep warm is to wear a thick jumper underneath your coat, so you can feel toasty all day long. It’s good news that vintage jumpers are something that never goes out of style, so you can reuse your trusty pieces every year to add a wholesome touch to your outfit. When you are wearing tighter jumpers, these go well with skirts and thick tights, but oversized garments will match better with slim-fitting jeans and boots. It is rare for people to step out into the cold without having a scarf and some gloves with them. Often, you can use these small pieces to change the look of any outfit. For example, a bright scarf can add a pop of color to darker outfits. From your head down to your feet, you can add some small details to each outfit that will help you ooze an air of sophistication, wherever you are. To save money and keep your personal touch, you can knit or crochet your own winter accessories from the comfort of your own home. Summer months may have resulted in you wearing lighter makeup so that your skin could soak up as much sun as possible. Unfortunately, winter can make peoples’ skin look duller, and many people find that dry patches reappear halfway through the season. When this happens, it can ruin your confidence, which makes it harder for you to step out feeling in love with your winter wardrobe. To tackle this problem quickly, choose a suitable moisturizer to use each night on your skin, which will keep it hydrated and protected from the elements.